“The area that I have called home for the past fifteen years is rich in characters and stories. It is also extremely transient, with new communities coming and going over a short period of time. If you would like to be interviewed as part of the Stockwell Oral History project, then please get in touch. The format is open ended, simply having a chat about anything and everything that has a Stockwell strand running through it." "I don't know if you've noticed but, unlike Vauxhall and Brixton, Stockwell has no historical society. Ruth Miller is keen to put this right and is looking for people to help set up a local history society for Stockwell, focusing on getting the stories of the area - ancient and recent - written down and eventually published. Please contact her at r_l_miller@hotmail.com if you are interested." 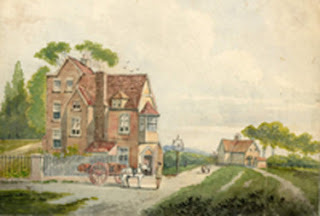 The Picture is of the Swan Pub from the 1780s.